Stonehouse Male Voice Choir was formed in 1935, in a local builder’s yard, when two or three joiners began singing during their lunch break. 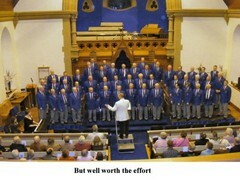 With the exception of the war years the Choir has gone from strength to strength and is now over 50 strong. We rehearse from 7:30pm to 9:30pm every Tuesday night in the Paterson UF hall, Stonehouse, from September through to the end of March or the beginning of April, with breaks for Christmas etc.. 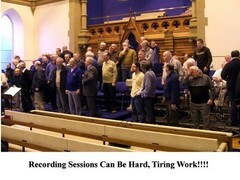 The practice nights offers a great night of comradeship hard work and fun. The Choir’s repertoire is wide and varied ranging from classical, Church music, music from the shows and light popular music. Gordon Millar, our Musical Director tries to cater for all tastes. 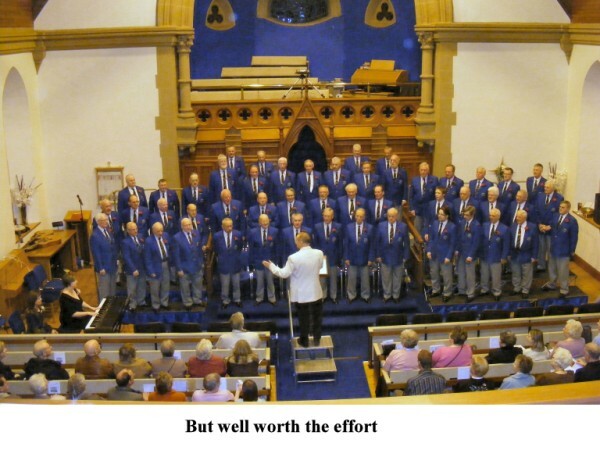 Concerts held in Dumfries in aid of the Leonard Cheshire fund.